FRESH pre cut trees from a local Delaware farm. We cut the trees ourselves and put them in water the same day to assure you take home the freshest tree possible - you wont find a fresher pre cut tree. Help us break in our new oversized indoor/outdoor patio. Enjoy an old fashon Christmas on our 250 acres farm. 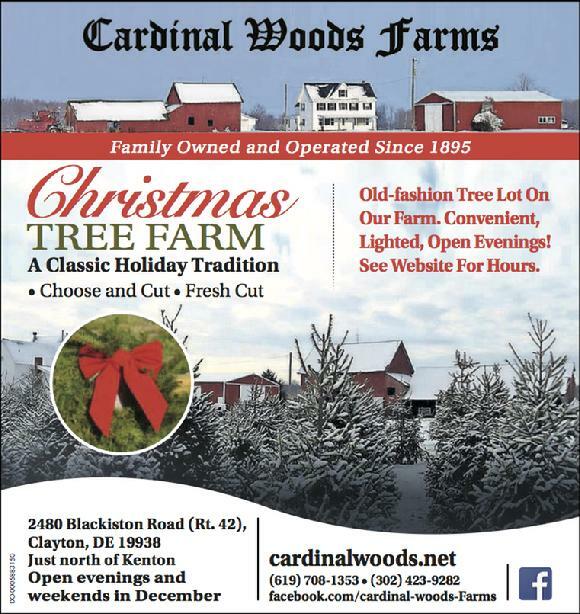 Have a memorable experience at Cardinal Woods Farms and enjoy the family tradition of cutting your own Christmas tree or choose from our fresh pre cut selection. Enjoy an outdoor adventure for the whole family. We hope to see you at Cardinal Woods Farms.